Andrew Atter, Birkbeck’s Entrepreneur-in-Residence, writes about the current opportunities for entrepreneurship in London. As we draw to an end of Global Enterpreneurship Week, you might be forgiven for being overwhelmed by all the hype. Everywhere you look there are conferences and workshops. President Clinton delivers his key note speech at Entrepreneurs 2012 today. And, as you flick through papers, millionaires promise to share their secrets of success. Who said there’s no free lunch! Well, behind the entire buzz, is a very serious point. As anyone who has seen the expression on Mervyn King’s face will have realized, as a society we face years of stagnation and low growth. This means for students and alumni, work opportunities, job prospects and career growth through traditional corporate structures will be far more limited than in the past. As both an economy, and as individuals, we will all need to access new markets and create new products and services. This is what Entrepreneurs do: they take initiatives that create wealth and opportunity, for themselves and the society around them. Looked at through the lens of an entrepreneur, the conditions for starting new businesses are good. According to the FT, new company formations rose by 2% last year, and HEFCE report that knowledge transfer from universities increased by 7% in 2010-11. The UK economy overall might be stagnant, but that is not true for London, and certainly not true for the M11 and M40 corridors linking London to Cambridge and Oxford. Entrepreneurs with sharp business plans, focused on early sales growth, can get funding. And, the good news is that businesses formed in recession tend to be leaner, meaner and more sustainable that fanciful creations funded by bank debt in boom times. I speak from experience. A business I founded in the post dot.com crash is still going strong, whereas a business launched at the peak in 2007 became an out of control, over complicated monster, and had to have the plug pulled out. So, beware of the hype generated by charlatans and snake oil salesman, but also don’t be out off by the Mervyn Kings of the world. Birkbeck students are situated at the nexus of the greatest concentration of financial, technical and creative resources on the planet, in one of the world’s most entrepreneurial societies. To prove it, next time you have a Dhall Curry at the farmers market in Torrington Square, just reflect on the simple fact that someone put the formula Students+Curry+Lunch = Opportunity together before you did. In other words, someone ate your lunch. 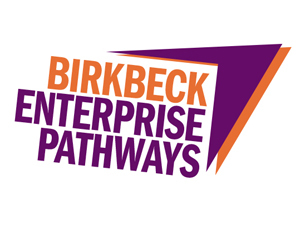 To avoid that happening again, simply join the Birkbeck Enterprise Hub (aka Starts Hub), join a Coaching Seminar, attend a CEO Workshop, and start making things happen for yourself and those around you!